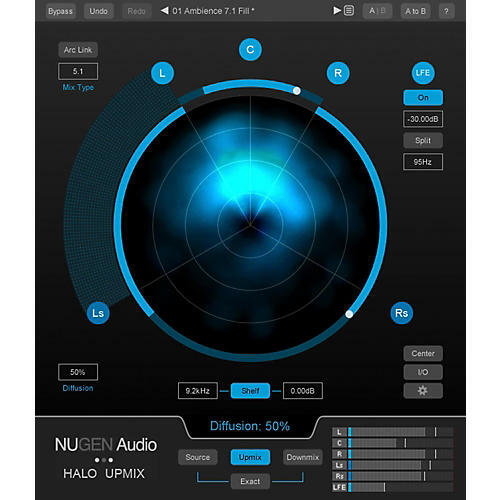 NuGen Audio Halo Upmix 5.1 and 7.1 Upmixer Plug-in. Halo also includes a powerful spatial analysis view, intuitively showing the energy distribution of the upmixed panorama. Color can additionally be used to indicate the speaker source for audio in any position, clearly indicating cases including phantom vs hard centre predominance etc.